On March 26 and 28, U.S. Secretary of Education Betsy DeVos testified before Congress about the Administration’s budget proposal (released March 12, 2019). As you know, the Administration’s proposed budget would once again zero out funding for Title II-A, a $2.05 billion program dedicated to professional learning. The Administration instead proposed a $220 million “teacher professional development voucher program” that would allow educators to customize their own professional development. 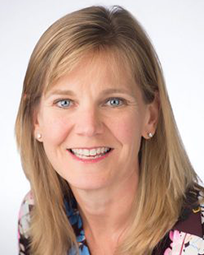 Read Stephanie Hirsh’s statement on the President’s budget. 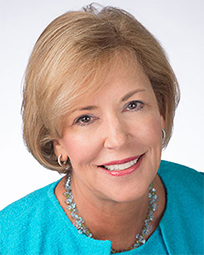 During testimony before both the House and Senate Appropriations subcommittees, Secretary DeVos defended the Administration’s proposal to cut 10-12% of the Department’s overall budget. Democrats in both the House and Senate – including Chair Rosa DeLauro (D-CT) - blasted the Secretary for proposing and advocating for a budget that would make “cruel and unusual” cuts to public education programs while championing billions of dollars for school choice programs, charter schools, and new unauthorized programs. While both hearings featured mostly highly partisan criticism of the Department’s deep cuts to education, there was recognition from Republicans, including Ranking Member Cole (R-OK) on the House side, that these cuts were concerning and that the last Congress rejected similar proposed cuts. On the Senate side, Chairman Blunt (R-MO) noted that these cuts are not the will of the Secretary, but a result of the Budget Control Act, which required the President to write his budgets at a 9% cut. With that recognition though, he and Ranking Member Murray (D-WA) assured the Secretary that the Committee would work to pass a bipartisan bill, as they have done the last several years, that would not enact these cuts to education programs in FY20. 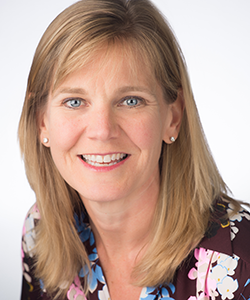 Read Stephanie Hirsh’s statement on the President’s budget. Learning Forward’s Capitol Hill briefing on September 27 was a great success as we shared data at the national, state, district, and school levels providing evidence that professional learning is making a positive impact on teacher practice and student outcomes. We encourage all educators to watch the briefing and to join us in documenting and providing evidence as we ready for next year. Download the Congressional briefing presentation. Evidence of impact is not optional. From your ESSA plans to Title II to talking with your district superintendent, everyone wants to know when professional development is making an impact and how you know. Learning Forward is here to help. We invite you to join your peers from across the U.S. to share your successes here. Tell us what Title II funds in your school or district, and most important, what outcomes you see as a result. Outcomes might include improved graduation rates or assessment scores, improvements for specific populations of students, or other indicators that students are experiencing more meaningful learning. Voice and Stakeholder Engagement. 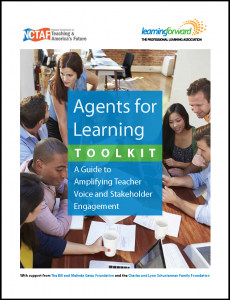 This toolkit suggests ways to cultivate teacher voice and agency in policy decisions and the implementation of professional learning. 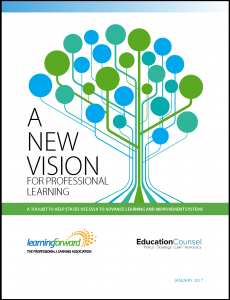 Learning Forward hosted a series of advocacy webinars designed to help educators build their advocacy skills. Each free webinar provides background information, the legislative status of Title II, and offers practical steps for how you can engage in this critical fight. Interested in learning more about upcoming webinars? Congress has been busy and Title II appropriations are moving. Join us for an A-Team Action Call on Thursday, June 28 at 3 pm ET to hear the up-to-the-minute federal update and to get some tips on sharing your professional learning story. This webinar will focus on state and district approaches to measuring the impact of professional learning. In addition, this webinar will provide information on impact requirements in the Every Student Succeeds Act (ESSA) and how these requirements can be leveraged to strengthen professional learning in your school or district. With the U.S. Department of Education having approved all state Every Student Succeeds Act plans, states and districts are busy translating those plans into practice. This webinar will feature an opportunity to hear how two key states are implementing Title II and to learn what resources, tools, and messaging they are using to support districts and to build evidence on behalf of the program. The policy updates are, for me, one of the most valuable assets of Learning Forward. Stay apprised of federal and state activities and be part of our inner circle of policy advocates.